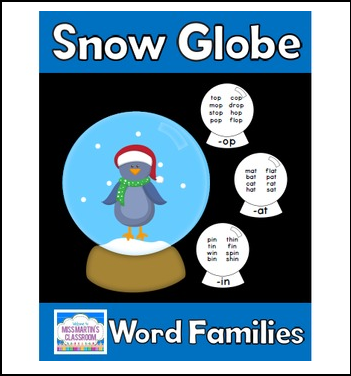 Practice the -op, -at, and -in Word Families with these fun Winter-themed posters and printables! Also included is a blank snow globe practice page, a blank color snow globe, and a blank black-and-white snow globe for you to fill in whichever word families you are working on! Please view the thumbnails for additional information about this resource, and if you have any questions please visit the "Ask a Question" tab in my TpT store.